Day 13: London to Hogwarts! The long awaited day of May 28th had finally arrived. We headed straight to Warner Brother Studios Tour: The Making of Harry Potter first thing in the morning. I love everything Harry Potter and it was so cool to travel to the countries where Harry Potter was born. 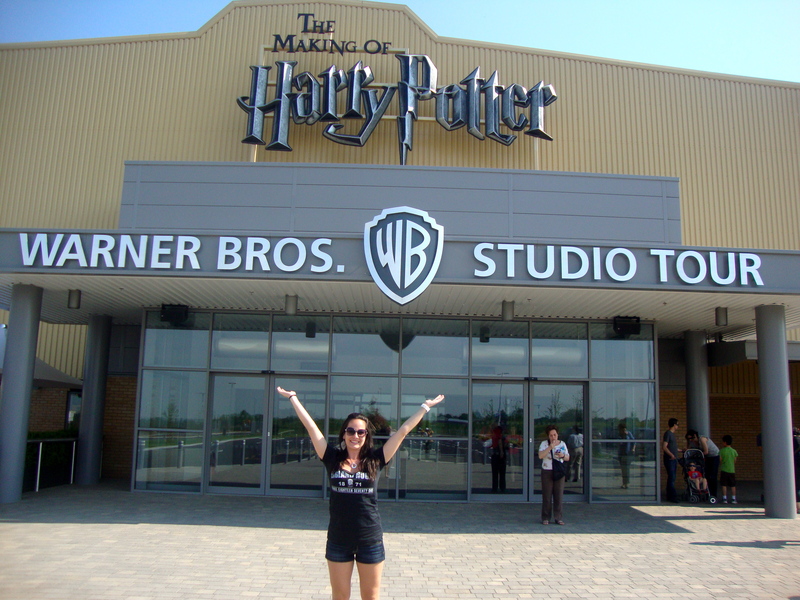 As if that wasn’t enough, we actually got to do the Warner Brothers Studio tour. We took a the tube to a train and then took a shuttle bus to the studio. They played the Harry Potter theme song on the way there and I got the chills I was so excited. We pulled up and with each step closer and closer I could feel my excitement rising. Knowing I was about to see and learn more about Harry Potter than I could ever get from the books or movies made me more excited than words could explain. After the Great Hall the tour was self-guided for the remainder of the studio. It was like if you’ve ever dreamed about a whole museum being made just for that one thing you love… except it was actually real life. They showed you tons of set pieces and props that were used in the movies. And you got to learn about the loads of work that went into making the movies. Now I would love to go in detail about the whole rest of the tour, but that would get pretty boring just reading about how awesome it was and I don’t want to spoil the whole thing for you. If you are a Harry Potter fan this is something that you NEED to see. No excuses. Therefore, I will try to just stick to the highlights and my favorite parts. I thought it was cool to see Harry’s different jackets as the scenes progress. Each one gets more dirty and torn as the fight scenes advance (shown above). We saw things like the Griffin Stairwell, the Gryffindor Boys’ Dormitory, Dumbledore’s office, and much more. I used to be a pretty big Quidditch fan, so seeing Harry’s first golden snitch was a pretty big deal for me. I wish I had time these days to watch the movies as often as I used to. Nearby the Golden Snitch was the Goblet of Fire. It was originally supposed to be metal, but they decided to go for a more organic look and the Goblet was hand-carved from one elm tree. There is more and more detail that went into the making of this movie lurking around every corner. The Chamber of Secrets door was another one of them. Yes it is an actual door, not computer generated. It was hand built and powered by an electric motor. Next we headed to the Ministry of Magic section, which of course has the ‘Magic Is Might’ statue in the center showing the muggles being crushed. They had 2 of the 17 Ministry of Magic fireplaces, which stand over 30 feet tall. We also saw Umbridge’s Office, lavishly covered in pink of course. So far we’ve just seen interior sets. Next, we moved on the the exterior. The second we stepped outside my eyes lit up. The first thing we saw was the Knight Bus. Then we even got to ride (well, just sit) in Hagrid’s motorcycle. We also got to see the Dursley’s house, The Potters’ Cottage, and Tom Riddle’s gravestone. Inspiration for the gravestone was drawn from Highgate Cemetery in North London. And right in the center was Hogwarts Bridge. This one section of the bridge was the only part ever built, and the rest was created by the Visual Effects Team. It’s a good thing, because that sure would have taken a lot of work and a lot of room! I don’t want to load up with too much today so the Hogwarts journey will soon continue! There is lots more awe and excitement up ahead. Make sure to stop back tomorrow so you don’t miss out! Check out the continuation coming tomorrow, it only gets better! Loving your fan fictions by the way, can’t wait until I have time to read more! Liked Hagrid’s motorcycle picture..Not sure if you got a chance to visit Alnwick Castle..Nice writing. Thank you, I did not get a chance to check out Alnwick Castle unfortunately. I will definitely have to keep that in mind for my next visit! We visited there just over a year ago and it was one of the best things we have ever done! My kids loved it and we spent the better part of the day there – they were exhausted by the time we headed back to London! It was a fantastic experience I would love to go back! You can easily spend a whole day there.. so much to do and see!